The annual Awards ceremony recognises, inspires and celebrates new and emerging practitioners and gives up-and-coming screen industry talent an important platform to showcase their work. Students and emerging professionals in the moving image industries are invited to submit films, documentaries, animation, original music, entertainment programmes and games works for consideration. Entries should be submitted by Friday 15 January 2016 at 5pm. 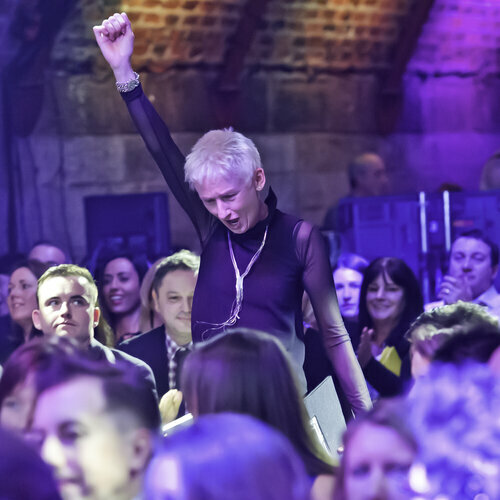 This year’s ceremony, hosted by Muriel Gray, will take place in Glasgow on Thursday 14 April 2016. The entry fee is £30 (including VAT) per entry per category. The closing date for entries is Friday 15 January 2016 at 5pm. If you would like to find out more information, the BAFTA Scotland New Talent Awards 2016 Rules & Guidelines can be found here. The Entry Platform will be open for entries from Tuesday 8 December 2015 at 10am until Friday 15 January 2016 at 5pm. If you have any queries or concerns about your submission please email [email protected].